Are you getting the most out of your eCommerce website? 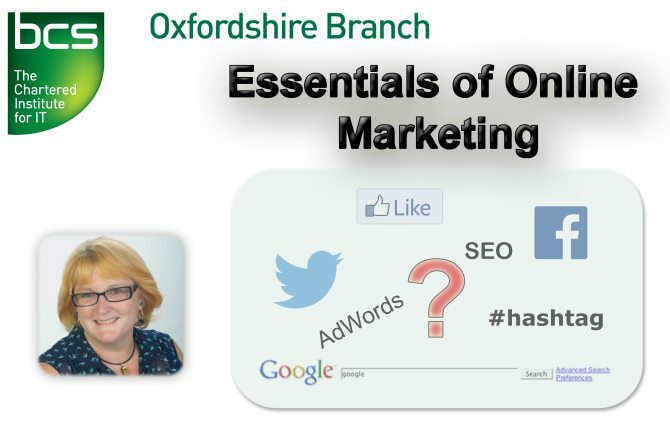 This talk will include the practical use of Keywords, Search Engine Optimisation (SEO), Website Usability, Google AdWords and Online Reputation management. Jayne Reddyhoff is a business consultant specialising in online marketing. Prior to setting up The Ecommerce Adviser in 2005, Jayne worked for a number of blue chip Technology & Consultancy organisations where she gained her business knowledge. The Ecommerce Adviser provides business focused website marketing services to ambitious Ecommerce businesses who want to increase sales and profitability. Using Google AdWords to deliver ready-to-buy visitors to Ecommerce websites. Ensuring the website will convert those visitors into paying customers. Monitoring website performance to determine what is working and what needs to be improved. Jayne herself provides strategic online marketing consultancy to The Ecommerce Adviser’s larger clients. Download posters and help promote this lecture at your place of work. The meeting is on Thursday 15 May 7.00 for 7.30 and ends around 9.00.